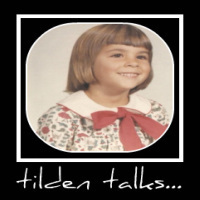 tilden talks...: I'm Somebody Now! Apparently I went to Scotland and got robbed. My Facebook said I needed money and you should send some. But I really didn't go to Scotland, it's a scam. You can send me money if you want, but it isn't necessary. I un - hacked my FB account, so disregard anything related to this. Oh, more importantly, I spilled soda in my keyboard last night. Alot of soda. Now all my keys are sticky. I did the same thing yesterday 'cept it was coffee that went in the keyboard....sorry your keys are all sticky. I was wondering what happened to your keyboard. New York City Condos - A Dream Come True? If You Are Expecting, You Need To See This! I Got a Monkey T-Shirt! Or Did I?